Some may not know this but there is a fairly strong yet small fleet of Ice and Land Sailors within the Inland NW. 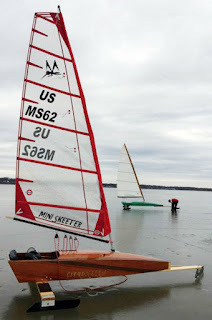 Of interest is the effort to expand the ice/land sailing fleet of Mini Skeeters, a boat 10 feet in length, 82 inches wide where the ice blades meet the ice, and 18 (5.5 meters) or 13 (4 meters) square feet of sail. 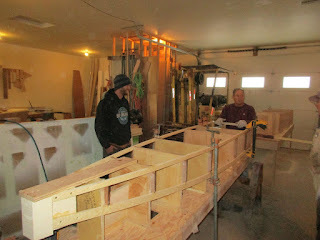 The Skeeter design is a low cost way of getting into ice and land sailing as compared with other ice/land sailing designs. Costs of course to build one depend on your preference of materials and low or high cost sailing components. Most of the Ice sailing takes place on Flathead Lake, or on the surrounding smaller lakes, or at Canyon Ferry Lake in Montana as well. Sprague Lake along Interstate 90 on the west side of Spokane County is also an excellent ice sailing location. One must watch the weather reports to insure there is enough wind to get up and go. 3 knots of wind is minimal wind needed but 5 knots is a good point to enjoy a day out and 15 knots and above can be the point where its as bit to risky to sail depending on skill level. 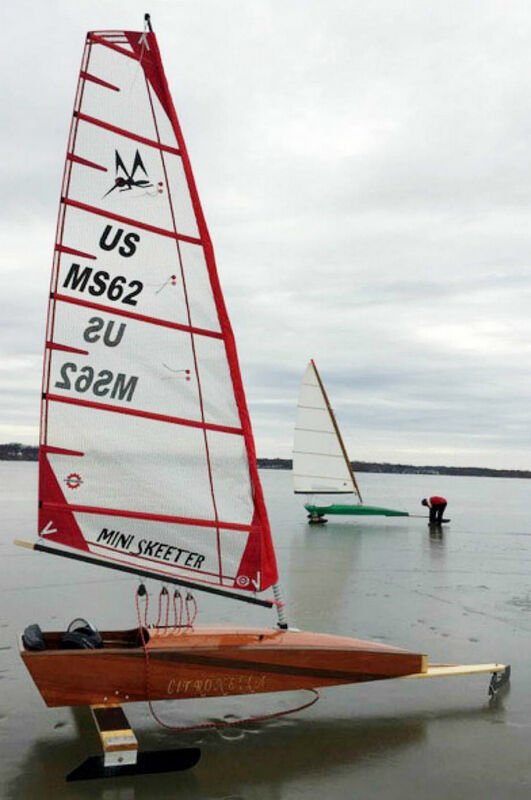 With a skilled sailor on ice one can hit a top speed of 60 mph and on land up to 75 mph. 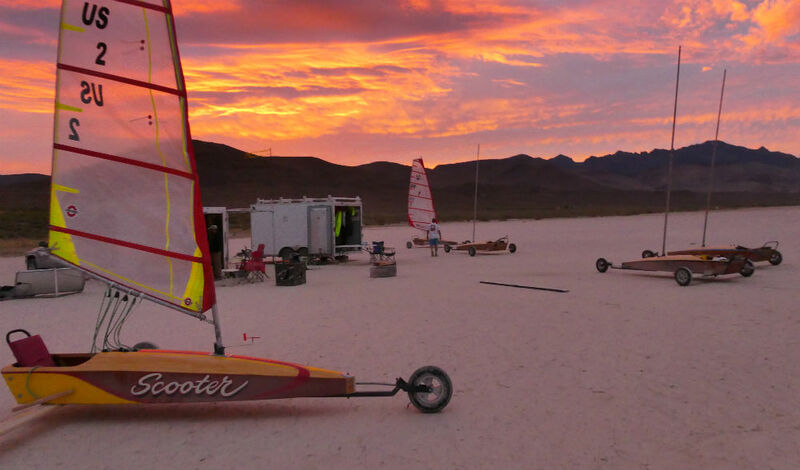 When built correctly Skeeters are a durable design that will last for years of exciting sailing. 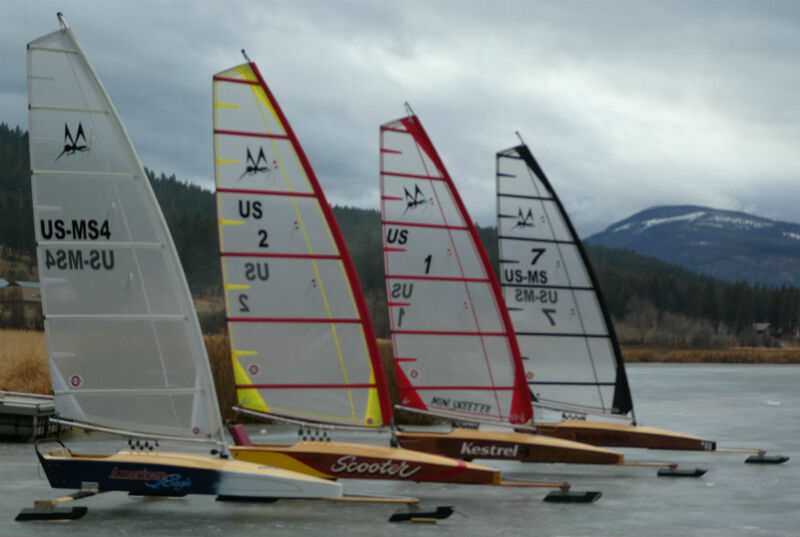 For those of us who sail on soft water getting into ice sailing can be a great way of getting ones sailing fix in the winter. Heading down south in the winter one could try their hand at land sailing. Either way ice/land sailing is exciting and when joined by others the fun is increased exponentially. Plans email John Eisenlohr at jlsbfam@centurytel.net (copy and paste into your email system.